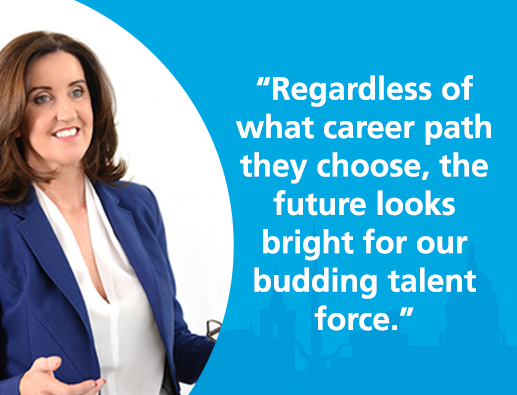 As we celebrate another year of our Leaving Cert students receiving their hard-earned CAO points with bright eyes focused on bright futures, we look upon the current generation almost enviously, lucky enough to enjoy a thriving jobseeker market, particularly in the Irish tech sector. Dubbed ‘The Fourth Industrial Revolution’, we are now entering an era where we’re seeing countless career sub-sections open up, almost out of thin air. Findings from the Dell Technologies’ Realize 2030 report say that 85% of jobs in 2030 won’t have been invented yet. It’s staggering to think the impact that will have on the future workforce of Ireland. Currently, we host nine of the top ten ICT companies in the world. The country also welcomed another annual increase in employment of 2.9% or 62,100 in the first quarter of 2018, bringing total employment to 2,220,500, according to the Central Statistics Office. Yet back in the trenches, our IT recruiters remain busy filling the concerning gaps within the IT industry. Forecasters have also been busy predicting what is about to unfold for our budding talent force. This speaks volumes about what lies in store for our newly-graduated Leaving Cert students. And regardless of what industry or career path they choose to take, for now, the future looks bright for our bright-eyed future talent force. Interested in becoming part of the 4th Industrial Revolution? Speak with our team today about the various permanent and temporary IT roles that itContracting has available now.